Microsoft operates a large number of projects designed to create new interesting applications for desktop and the web. Most often we hear about the projects from Microsoft Research. There is also a group of employees who operate the activity under the bran Microsoft Office Labs. One of their projects is Speed Launch, which is an interesting tool designed for running programs, documents and opening web pages or searching on the Internet faster. Once you install Speed Launch, you will find a color target in the bottom right corner of the screen. 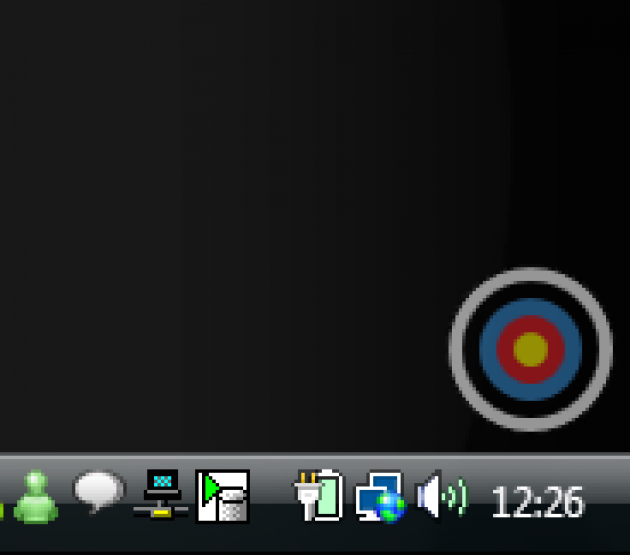 To this target you can drag icons for launching programs, documents, URLs, web pages and other items. Speed Launch will then creates a shortcut to run. There are several reasons to pull the system with another application launcher. In Windows Vista or Windows 7 you no longer have to click the Start menu in a complicated manner. 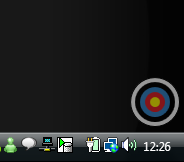 Instead, you simply enter the name of the program and an icon for the typed name will appear for a moment. But what if you do not remember the name of the program, and your only goal is to get work done? Let’s have an example with Zoner Photo Studio, which lets us view photos. Without using shortcuts in the Start menu, you enter the word Pictures that shows what you want to perform, the agent for running Zoner Photo Studio appears. Just drag and drop it on the target, enter the name "pictures" and save. Now you can invoke Speed Launch by pressing Win-C. The trigger window will instantly appear. If you type "pictures" and press Enter, Zoner Photo Studio will start as if by magic. With Speed Launch, you can easily create shortcuts to launch anything you’d like. This is a friendly and understandable way of interactivity to inexperienced users or those who do not know Canadian English (eg, picture instead of photo). But what’s even better, Speed Launch will make life easier even for the experienced user. Weather - find weather. After clicking this box, type the name of the city and state (eg, Brno, Czech Republic), press Enter (or click Launch) and wait for the page with information about the weather to be displayed. Speed Launch will remember for the next run. As you can see, the set of shortcuts ready for English users are not the best solutions for everyone. I will show you how to customize it for Germany a little. Click Wheel Speed Launch, right-click and select Manage Shortcuts. A new window, for managing shortcuts, will be opened. Click the Search Wikipedia and column Targets, click Add. A new window opens. In the Target box, type http://de.wikipedia.org/wiki/Test. Now try to run the modified agent on Wikipedia. The given expression should then be sought in the Germany version of this encyclopedia. To achieve even better results for users that does not know what Wikipedia is, you can change the name from Wikipedia Search to "free encyclopedia". Speed Launch is an interesting product which simplifies launching applications and searching the web. A shortcut for a quick run but you can make these from any source; files and other items on your computer. Alternatives, although slightly differently oriented, to this program are Launchy or Executor. This article was translated from its Czech version Speed Launch: vylepšený spouštěč od Microsoft Office Labs.